Welcome to the first income report of 2019 — my January 2019 income report. In January, I was able to generate side income earnings of $6,105.10, with a net profit of $5,544.74. This makes January my best month yet, both in terms of side income earnings and net profit. As always, before I reveal my full income report and net profit breakdown for the month, here are a few important highlights from January. In December 2018, SEMrush announced their special Content Challenge event. They usually conduct a monthly content challenge for their affiliate partners where the prize for the winner is $100, but the SEMrush Content Challenge 2018 was more like an annual event to end 2018 with a bang. The grand prize was $1000. This marks the third time I’ve won a content challenge from SEMrush – the first time was on July 2016 for the blog post “SEMrush vs Moz: Which is the Best SEO Tool?” and the second time was for the blog post “How to Use SEMrush to Amplify Your Content Marketing” in November 2017. Thank you, SEMrush! It’s a massive privilege being your affiliate partner. Here are all the blog posts published in January 2019. Did you read all of them? If not, then please feel free to check them out and let me know your thoughts in the comments section. Last month, I finally came close to achieving my objective of publishing one new podcast episode each week. I was able to record and release 5 new episodes of Marketing Mantra, all of which are available on Apple Podcasts, Google Podcasts, Spotify, and other major podcast playing platforms. E14: Is It Worth Spending Money on Bing Ads? E10: How Long Should Your Blog Post Be? I published two AppSumo video reviews and walkthroughs on YouTube — UTM.io and AccuRanker. To learn more about these AppSumo lifetime deals, check out this article. I read a few interesting business books in January, including All Marketers Are Liars by Seth Godin, Conspiracy by Ryan Holiday, and It Doesn’t Have to Be Crazy at Work by Jason Fried and David Heinemeier Hansson. My favorite among these was All Marketers Are Liars by Seth Godin. In the book, Godin makes a case for the importance of storytelling in marketing. According to Godin, it’s not the product that a consumer buys, but the story behind the product. And all successful marketers tell engaging stories. It’s one of the most compelling business books I’ve ever read and it’s highly recommended to all marketers and entrepreneurs. To learn more about my thoughts on the book, please check out this article — 7 Marketing Lessons I Learned from “All Marketers Are Liars” by Seth Godin. 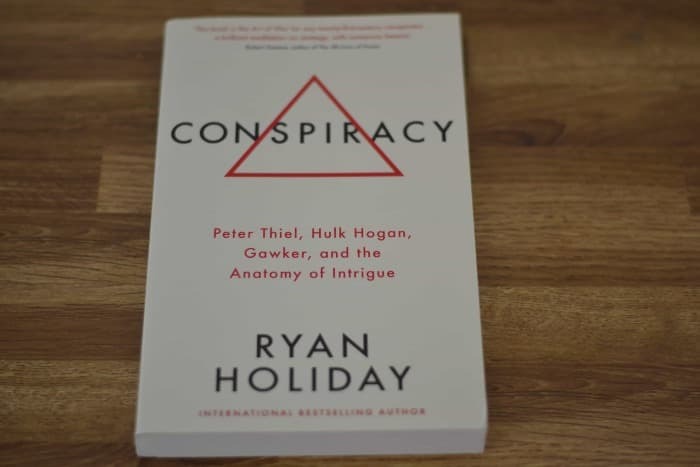 Conspiracy recounts the tale of how the controversial media outlet Gawker Media was secretly taken down by billionaire investor Peter Thiel with the help of an unlikely ally, Terry Bollea, better known as the wrestling legend Hulk Hogan. This is the third Ryan Holiday book I’ve read, and I consider this to be his best work. Like many, I was fascinated by the Gawker vs. Bollea trial in 2016 and was surprised by the verdict which eventually bankrupted the notorious publication Gawker. It was only at the end that the world became aware of Thiel’s involvement in the trial and how he had funded Hogan’s lawsuit. In the book, Holiday explores how Thiel masterminded the whole scheme, his reasons for doing so, presents the whole facts of the case, and the events that caused Gawker’s destruction. Though the book is slightly biased towards Thiel, it’s an enjoyable read which is hard to put down. 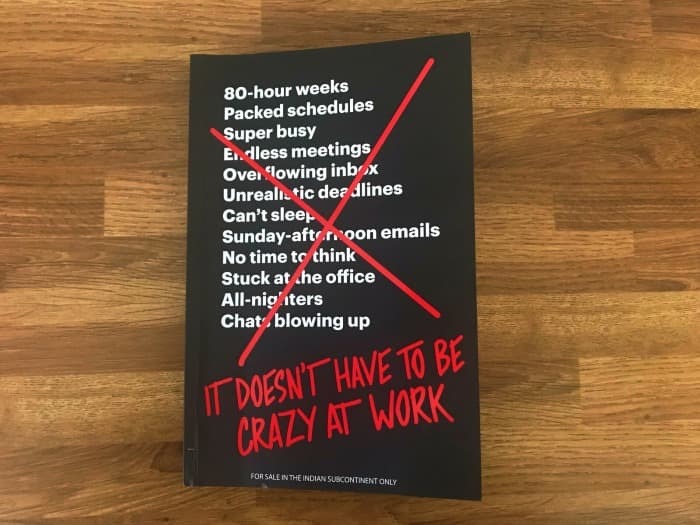 It Doesn’t Have to Be Crazy at Work is more like a direct sequel to Fried and Hansson’s brilliant book Rework. I was slightly underwhelmed by the book, but that may have been because I consider Rework to be one of my favorite business books and my expectations before reading this book were too high. Here’s my income report for January 2019 — affiliate earnings, followed by other income, expenses, and net profit breakdown. That wraps the income report for January 2019.